The Phipps Dance Company, a non-competitive performing dance troupe, is celebrating its 14th season. The 2018-19 company, led by director Christina Leines and associate director Stephanie Campbell, is comprised of 14 auditioned dancers who range in age from 14 to 18 years old. The company focuses on building well-rounded, technically advanced young dancers. To audition for the company, the dancers are required to have at least two years of prior dance training. As company members, the dancers have weekly rehearsals and must take at least two dance technique classes per week. The performances will feature a variety of styles, including musical theater, lyrical, hip-hop, jazz, contemporary and classical ballet. 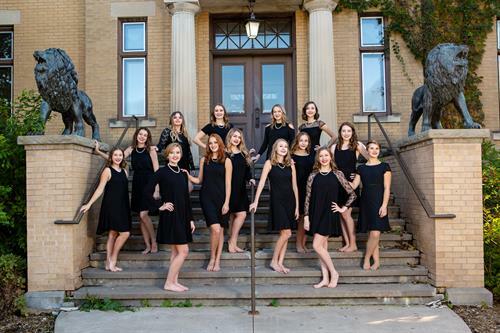 The Phipps Junior Dance Company, led by director Mackenzie Heisler and associate director Greta Lewis, will also perform a lyrical and tap piece. Featuring dancers ages 9 to 13 years old, this company prepares members for their future with The Phipps Dance Company and beyond. The company is made up of 17 auditioned dancers who rehearse September through May for performances locally and throughout the Twin Cities. Saturdays, April 6 & 13, 2019, at 7:30 p.m.
Sundays, April 7 & 14, 2019, at 2 p.m.
Tickets are $14 for adults and $12 for students of any age.